It is no secret that Charles Dickens is one of my favourite authors. 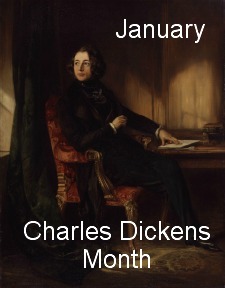 All January I have been singing his praises through my January – Charles Dickens Month posts. I have talked about how I first came to love Charles Dickens’s prose in My First Charles Dickens, about my favourites from him in My Favourites, about the only Dickens book I didn’t enjoy in Dud from Dickens and I compared two of my favourite authors from the Victorian era in Dickens and Collins. Today, 7th of February, 2012, is his 200th birthday. Check out the Google Doodle celebrating the characters of Dickens if you haven’t already. I would like to wrap up the January – Charles Dickens Month by wishing a very happy birthday to the incomparable Charles Dickens. May his legacy live on forever! 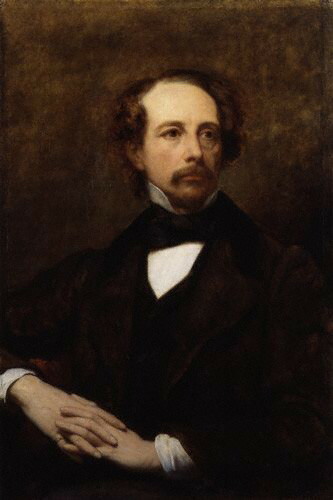 7th February 2012 is the 200th birthday of Charles Dickens. To mark the occasion Amanda at Fig and Thistle is hosting January – Charles Dickens Month. As Charles Dickens is one of my favourite authors, I couldn’t resist plunging into it. Today’s post is about Dickens and Collins. Charles Dickens and Wilkie Collins, contemporaries, friends and authors whom I enjoy reading. Comparisons between Charles dickens and Wilkie Collins are inevitable. They were contemporaries and very close friends. As a big fan of Victorian Literature, I have read both with deep enthusiasm. I personally feel that Collins was sometimes less sure about what he wanted to do. For example, in The Moonstone he came across as a bit preachy. At times his social commentary overburdened his narrative and sometimes the light, entertaining side took over more completely. It’s like a play of shadow and light. On the other hand, when Collins set out to entertain, without trying to provide any social commentary, he was superb! I absolutely adore his The Queen of Hearts! Dickens seemed much more confident about how he wanted to deal with the issues important to him (child labour, the condition of prisons, the judiciary system etc, etc,) and how and when to entertain. 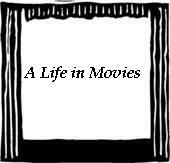 For example, his Great Expectations, where the sadness of Pip’s situation is enlivened by a few interludes such as the scenes at Mr. Wopsle’s great aunt’s school and Mr. Wemmick’s division of his personal and professional life. But one side never overshadowed the other. With Dickens the characters are such a big part of the plots that long after the book is over one remembers their personalities. How can I forget Sydney Carton from A Tale of Two Cities or even someone like Mrs Lirriper from Mrs Lirriper’s Lodgings? Some of Collins’s characters are memorable (Count Fosco from The Woman in White comes to mind) but many seem kind of undermined by the main story. I often forget the names of the male and female lead of The Moonstone. For me, Dickens is superior of the two at least in these two aspects. Today’s post is about the only Dickens book I didn’t enjoy, in other words a Dud from Dicken. I just simply didn’t like David Copperfield. Sure it is STILL Dickens but this is by far my least favourite of his books. The narrative, though sparkling during Copperfield’s childhood, becomes dry and dreary once he reaches adulthood. 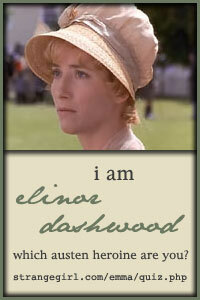 Among the other characters Dora Spenlow has got to be one of the most annoying literary characters ever to exist! The way she pouts and shakes those curls of hers! I could just gag! Is this meant to be cute, innocent? All I know is that every time she opens her mouth I feel like hitting myself! Uriah Heep is a nasty character to be sure. But did he have to be so revolting looking? I felt that too much time is spent discussing his repellent looks than discussing his villainous nature. At the other end of the spectrum we have Steerforth. In my opinion he’s as bad as Uriah. He’s heartless and selfish but he’s excused for his bad behaviour. His good looks and charming manners are mentioned many, many times in the course of the narrative. Of course he’s not to be totally blamed for what happened and he does pay dearly in the end but to me his self-serving and careless attitude is hardly forgivable. Copperfield’s unhealthy obsession with Steerforth is one of the more disturbing aspects of the story. Overall, I was disappointed with David Copperfield. A long book with little payoff. Today’s post is about My Favourite books by Charles Dickens. A Tale of Two Cities and The Pickwick Papers are two of my earliest Charles Dickens reads. And these two remain my all time favourites. A Tale of Two Cities I have read quite a few times. With each read I discover something new, a new layer of meaning that I had missed on my previous reads. The Pickwick Papers I have read only once. I laughed so hard at the funny parts and the more poignant parts moved me. But the length of The Pickwick Papers has prevented me from re-reading it. The thought of carrying it around is what daunts me the most. One of these days I will get back to it. Great Expectations I have learned to love more with time. The first time I read it I liked it but didn’t understand all of it. But with re-reads I discovered how deep the book is. Pip’s journey took a new meaning for me; Miss Havisham became one of the most interesting characters and Estella one of the strangest literary heroines I have ever met on the pages of a book. Hard Times is a much maligned book for no apparent reason. I liked it when I read it in 2010. It is very short and one of the most unusual works of Dickens. It does not have the humour of the rest of Dickens’s books but it is special in its own way. I have also enjoyed some of Dickens’s more obscure works like Mrs. Lirriper’s Lodgings, Mrs. Lirriper’s Legacy and A House To Let. These were first published in Christmas editions of Dickens’s All the Year Round and Household Words magazines. I loved the general light heartedness of Mrs. Lirriper’s Lodgings and Mrs. Lirriper’s Legacy. A House To Let is a collaborative effort by Dickens, Wilkie Collins, Elizabeth Gaskell and Adelaide Anne Procter so it’s not a pure Charles Dickens creation but I enjoyed it nonetheless. Today’s post is about My First Charles Dickens book and how I came into the world of Charles Dickens. It was my birthday. I was now ten years old. As the birthday girl, I got to have a treat. I could buy any book I wanted. I was pretty excited. But then trips to the bookstore always were (and still are) exciting for a bookworm like me. I wanted Wuthering Heights but my mother wouldn’t let me have it. So, I picked A Tale of Two Cities instead. I had no idea what the book was about but I knew who Charles Dickens was and I wanted to read his more ‘grown up’ books. I breathlessly finished the book and mostly failed to grasp what was going on. All I knew was that I had fallen in love with the prose. I knew this was something special. Thus began my life long love for the prose of Charles Dickens. Since then I have re-read A Tale of Two Cities several times. I have understood it far better with time and have grown to deeply love and appreciate it. Sydney Carton has become my all time favourite tragic hero. Each time I find another layer of meaning within it. Even after all this time A Tale of Two Cities remains as fresh as ever. My first Charles Dickens remains close to my heart.